Christopher Nolan is finally going to get the respect from Oscar that he deserves. Christopher Nolan and the Oscars have a love-hate relationship. He’s been nominated for only three Oscars, two for Original Screenplay: “Memento” in 2000 and big-scale epic “Inception” in 2010. That year, he was also nominated as a producer of “Inception,” which followed the surprising omission of “The Dark Knight” for Best Picture contention in 2009. That pushed the Academy to change its rules to allow more Best Picture slots, which might encourage more people around the world to watch the Oscars. Nolan’s films have mostly cleaned up in the technical realm. Cinematographer Wally Pfister was nominated for “Batman Begins,” “The Prestige,” and “Inception,” which landed eight nominations and four wins (for Pfister, sound editing and mixing, and VFX) . The Academy voters punished sequel “The Dark Knight Rises” with no nominations at all. And “Interstellar” landed five tech nods and also won for VFX. So Nolan has every reason to feel that it’s his Oscar time. 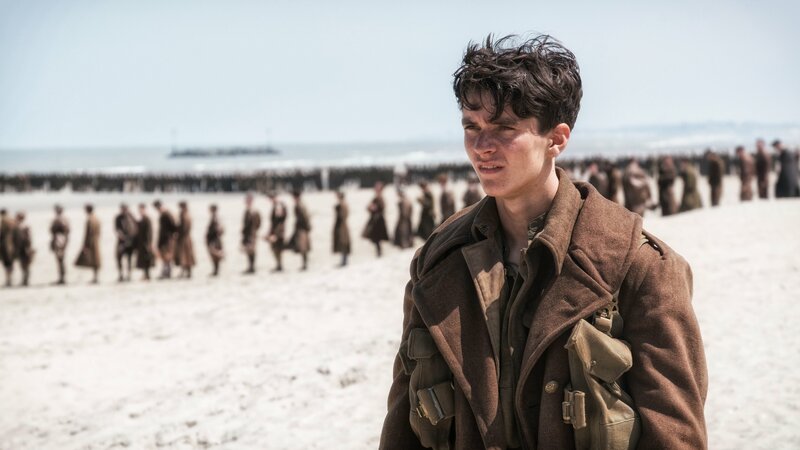 Finally, with spectacularly epic World War II action-adventure “Dunkirk,” Nolan has a good shot at landing his first — I know, it’s rather shocking — Oscar nomination for directing. It will surely happen. And he could win, because “Dunkirk” is nothing if not impeccably directed, in both IMAX and 65 mm. Nolan came up with a surefire, high-concept film that plays into his strengths as a filmmaker. 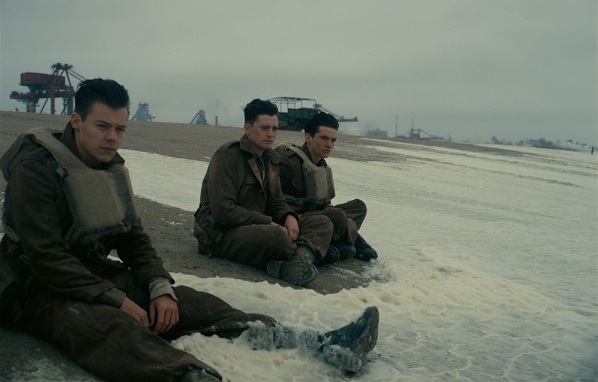 Rather than wind his way through tortuous twisty genre plots with dazzling visual effects, Nolan keeps “Dunkirk” deceptively simple. The idea is to immerse the audience in the action by putting them close to the subjective points-of-view of a series of characters’ experiences on land, sea, and air (within varying timeframes) throughout the 1940 evacuation of hundreds of thousands of British and Allied soldiers stranded on the beach at Dunkirk, France, surrounded by Germans. We experience the pitiless attacks on the exposed, vulnerable soldiers as they try to survive relentless strafing from Luftwaffe guns, artillery explosions, bombs, and torpedoes. How will the Academy acting branch reward the superb ensemble? Most of this propulsive action film is without dialogue. We spend the most time with newcomer Fionn Whitehead as Tommy, a young British private, ducking and bobbing and running and swimming and hiding in order to come out alive, but he barely speaks. We also root for Nolan veteran and recent Supporting Actor nominee Tom Hardy (in yet another enclosing mask) as the pilot in the cockpit of an RAF Spitfire, aggressively attacking enemy Messerschmitts as he anxiously checks his fuel levels. But he also doesn’t have much to say. That doesn’t mean “Dunkirk” is without sound. Oscar-winning sound editor Richard King (“Master and Commander,” “The Dark Knight,” “Inception”) designs crucially propulsive sound for the audience, as we feel the constant assault on our senses. Production values are at the highest levels, so we can also expect nominations for cinematographer Hoyte van Hoytema, who figured out how to take large-size cameras into challenging small places, production designer Nathan Crowley, editor Lee Smith, costume designer Jeffrey Kurland, VFX supervisor Andrew Jackson, and special effects supervisor Scott Fisher, not to mention composer Hans Zimmer, who is often taken for granted but is at the top of his game here. But don’t expect Warner Bros. to wear Oscar hopes on its sleeve. The studio is pushing this high-quality World War II drama as a summer blockbuster, and only after that goal has been met will they pursue Oscar ambitions. This has been the consistent Warners approach ever since Martin Scorsese’s gangster epic “The Departed” scored four Oscar wins including Best Picture back in 2007 — without campaigning. Finally, Oscar likes epic period dramas, and World War II. These include Mel Gibson’s recent two-Oscar-winning “Hacksaw Ridge” and Steven Spielberg’s 1998 “Saving Private Ryan,” which also opened in July — and went on to five Oscar wins.